Lèse-majesté - under which anyone who "defames, insults or threatens" the King, Queen, heir to the throne, or regent can be prosecuted - is Thailand's most controversial law. It is strictly enforced and broadly interpreted, and carries a social stigma in addition to a long jail sentence (three to fifteen years per offence). Bail is rarely granted in lèse-majesté cases, trials are heard in camera, in military courts, and there is no right of appeal. In a society in which kings are regarded as semi-divine, critics of the law are demonised as traitors and anti-monarchists. 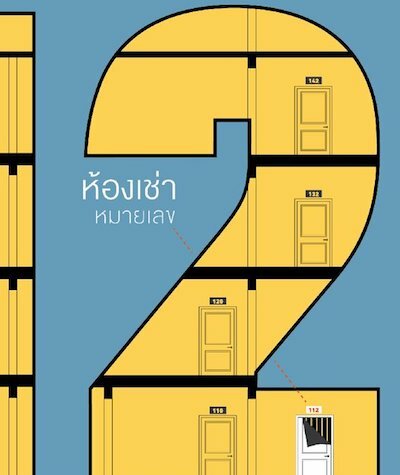 Truth On Trial In Thailand: Defamation, Treason, & Lèse-majesté was first published in 2011. With 100 pages of notes, this is a comprehensive and authoritative study of Thailand's defamation and lèse-majesté laws. It's part of the Rethinking Southeast Asia series, edited by Duncan McCargo, who wrote a widely-cited paper on Thailand's patronage system (in The Pacific Review, 2005): "Thai politics are best understood in terms of political networks. The leading network of the period 1973-2001 was centred on the palace, and is here termed 'network monarchy'." 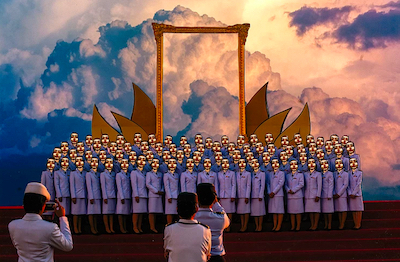 Streckfuss addresses the central paradox of lèse-majesté: "The difficulty for defenders of the law is to explain how the institution of Thai monarchy could be so utterly loved if it required the most repressive lese-majeste law the modern world has known." He also challenges the justifications used to defend the law, including exceptionalism ("a conceit about the uniqueness of all things Thai... understandable only to Thai") and national unity ("The obvious answer to the question of the incessant calls to Thai unity is that... no such unity ever existed and that even the appearance of unity has come at a terrible cost"). He also notes the increasingly flexible interpretation of the law, a tendency that has continued since the book was published: "A fairly consistent trend from lese-majeste cases can be discerned, from cases that referred personally to the king, queen, and heir-apparent, to cases where there was... only the most tenuous connection to the monarchy." The book even quotes some passages that fell foul of the law, such as a 23rd December 1981 Wall Street Journal article. 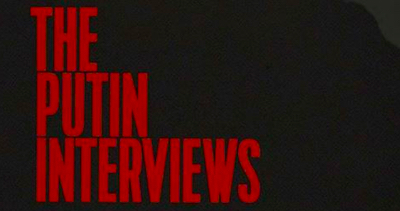 Oliver Stone's documentary The Putin Interviews, broadcast on Showtime over four consecutive nights from 12th to 15th June, is a four-hour profile of Russian President Vladimir Putin. The interviews, which ran for a total of twenty hours, took place over the past two years. The four episodes, and an accompanying book of transcripts, are significant thanks to Stone's extensive access to Putin, though they are far from the probing encounter we might have expected. Tellingly, at the end of the book, Stone tells Putin: "I'm proud of the film. You got to tell your side of the story and that's all I can do." The book contains longer versions of the interviews, though it can't capture Putin's body language: he sighs heavily and smiles thinly throughout the programme, and in one episode he turns to wink at the camera. 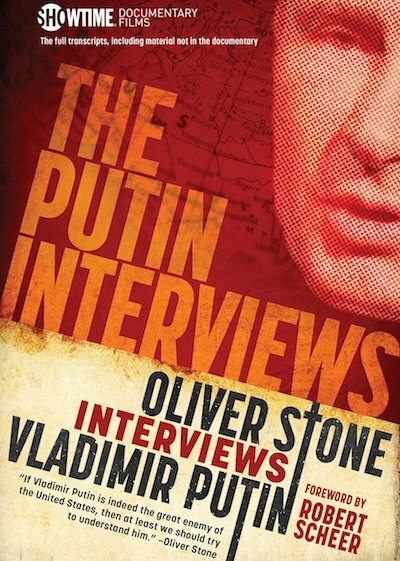 ("STONE/PUTIN" on the book's spine positions it as a successor to Frost/Nixon, though it feels more like Conversations With Thaksin.) The book's main asset is that it includes footnotes, citing reputable and neutral sources, that fact-check the interviews. But the footnotes focus on statistical details rather than the wider narrative; for example, verifying that "Putin is correct that well over 90% of the Crimeans who went to the polls voted to leave Ukraine and join Russia" yet ignoring the illegality of the referendum itself. In the documentary's most surreal moment, Stone and Putin watch a DVD of Stanley Kubrick's Cold War satire Dr Strangelove. Putin is clearly unimpressed, and gives a fairly bland assessment: "There are certain things in this film that indeed make us think, despite the fact that everything you see on screen is make believe. He foresaw some issues even from a technical point of view, things that make us think about real threats that exist." Throughout most of the programme, Stone's questions reflect his opposition to America's hawkish foreign policies. Putin plays up to this, by criticising American interventionism, which provides Stone with validation for his own view of American neoconservatism. At one point, Putin declines to blame America for cyberattacks on Russian banks - "You are disappointed because the U.S. failed to do something?" - and Stone displays a rare moment of skepticism: "You're obviously sitting on some information. I understand why you may not want to make it public." Too often, Putin's questionable denials of his own foreign interventions go unchallenged. When asked about Russia's hacking of the Democratic National Committee, Putin says, "Unlike many of our partners, we never interfere with the domestic affairs of other countries." Instead of asking any follow-up questions, Stone simply ends the interview session. Similarly, the issue of Crimea is presented from an entirely pro-Russian perspective: Putin says, "We were not the ones to annex Crimea. The citizens of Crimea decided to join Russia", accompanied by propagandist footage of a young girl hugging a soldier. Only in the fourth and final episode does Stone begin to challenge Putin. (In his prologue to the book of transcripts, Robert Scheer writes: "In that last session, Stone strenuously pushes Putin".) The episode begins with their most recent interview, recorded earlier this year, in which they return to the subject of Russia's DNC hacking. Stone says of Putin: "You look like a fox who just got out of the hen house", to which Putin replies: "There were no hens in the hen house, unfortunately." Towards the end of the last episode, Stone raises the issue of Putin's extended time in office, to which Putin offers a standard justification: "Our goal is to reinforce our country." In his reply, Stone finally criticises his interviewee directly: "That is a dangerous argument, because it works both ways. Those who abuse power always say it's a question of survival." A group of soldiers visited Gallery VER in Bangkok yesterday, and removed three photographs from photographer (and sPACEtIME co-director) Harit Srikhao's exhibition, Whitewash. The exhibition is Harit's personal response to the 2010 military massacre, when the army opened fire on red-shirt protesters and almost 100 people were killed. One of the images (Chosen Boys) shows military cadets waiting for a royal procession. 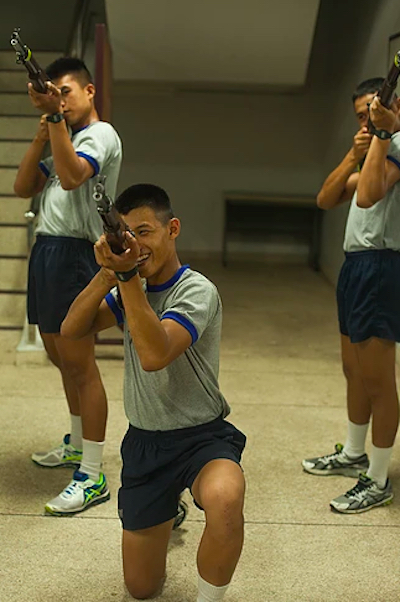 In another (Cadets), three cadets pose with rifles during their military training. In the third photo (Heaven Gate), the faces of a group of female civil servants have all been replaced by a Ravinder Reddy sculpture of a golden head. (The sculpture was installed outside CentralWorld, one of the buildings damaged by arson following the 2010 massacre.) A sketch of Sanam Luang, and a seven-page handwritten diary about 2010, were also removed from the exhibition. Gallery VER (previously located across the river in Thonburi) is next door to another gallery, Cartel Artspace, and it was there that the seven soldiers had originally intended to inspect. They apparently noticed the VER exhibition only by chance, while waiting to gain access to Cartel. 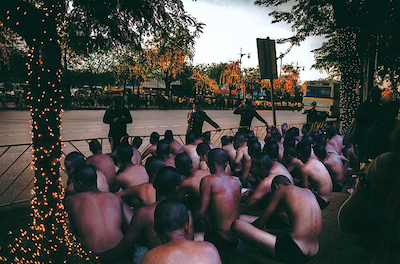 By coincidence, two of the photographs in question appear as consecutive double-page spreads in the current issue of Foam (on pages 220-223), and the magazine has been withdrawn from sale in Bangkok. 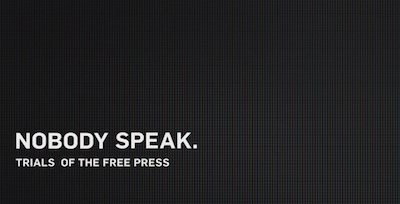 This is the third time in the past decade that exhibitions in Bangkok have been censored. Withit Sembutr's painting Doo Phra, depicting a group of Buddhist monks crowding around an amulet-seller, was removed from the Young Thai Artist 2007 exhibition at Esplanade. Five pictures by photojournalist Agnes Dherbeys were removed from the Rupture exhibition at BACC. Dherbeys' photographs, like Harit's, depicted the 2010 protests. 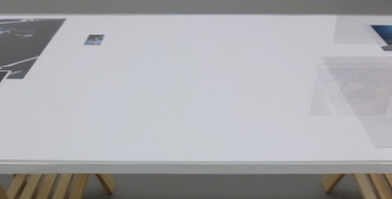 In all three exhibitions, the spaces left by the removed works remained conspicuously empty, to highlight the censorship. Whitewash opened on 3rd June, and is scheduled to run until 22nd July. 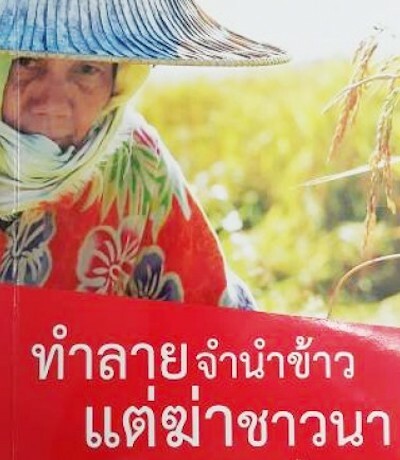 The rice subsidy scheme was implemented by former Prime Minister Yingluck Shinawatra in 2011. Her government agreed to pay farmers up to 50% above the market rate for their rice, intending to withhold it from the world market and thus drive up the price. As a result, countries such as India and Vietnam increased their rice exports, and the government was left with vast stockpiles of rice that it could not sell. In 2014, the national Anti-Corruption Commission brought charges against Yingluck for her role in the policy, and she was retroactively impeached by the National Legislative Assembly in 2015. After an investigation into the scheme, she was fined $1 billion last year. 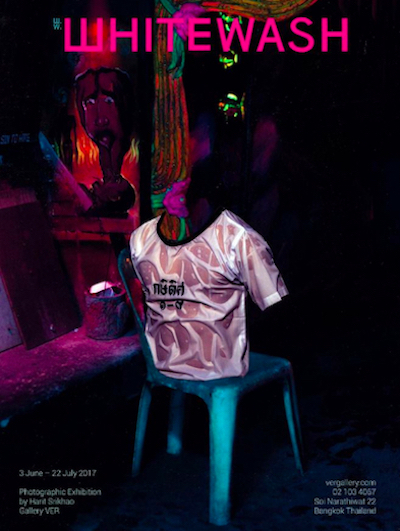 Bad Taste Cafe, a new Bangkok bar with intentionally kitsch decor, will be screening the exploitation classic Pink Flamingos tomorrow. 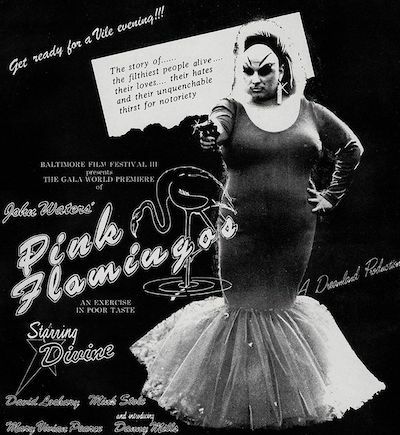 Directed by John Waters, Pink Flamingos is the ultimate example of transgressive cinema, and the perfect choice for the inaugural Bad Taste Movie Night. 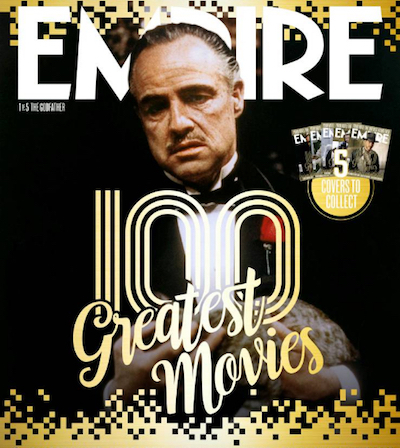 Empire has released the results of its 100 Greatest Movies online readers' poll. The list will be featured in the magazine's July issue, which will be published on 15th June with five different covers: The Godfather, The Lord Of The Rings III, Star Wars V, Pulp Fiction, and Raiders Of The Lost Ark. 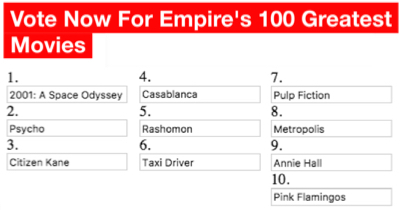 This is Empire's eighth greatest-films poll. The previous ones are: 100 Favourite Films Of All Time (1996), Your 100 Greatest Films Ever! (1999), The 50 Best Films (2001), 100 Greatest Movies Of All Time (2004), 201 Greatest Movies Of All Time (2006), The 500 Greatest Movies Of All Time (2008), and The 301 Greatest Films Of All Time (2014). Later this week, Citizen Kane and Stagecoach, currently showing at Bangkok Screening Room, will be joined by a third all-time classic. 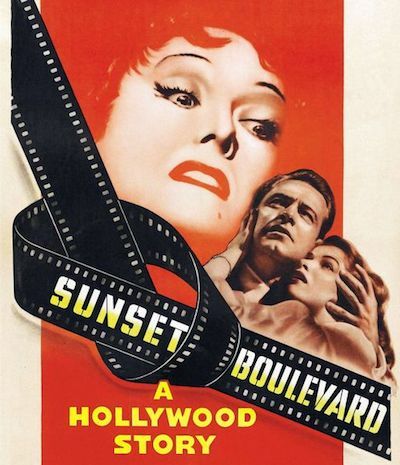 Billy Wilder's Sunset Boulevard, one of the greatest films ever made about Hollywood, will be shown on 16th, 17th, 18th, 20th, 21st, 22nd, 23rd, 24th, 25th, and 28th June; and 1st, 2nd, 4th, 6th, and 8th July. 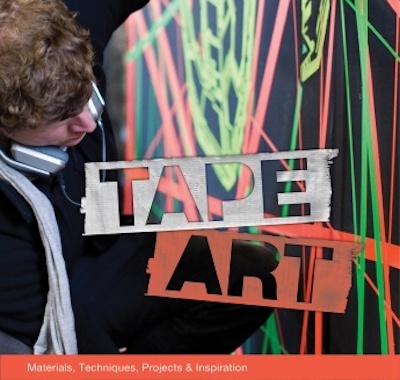 Tape Art: Materials, Techniques, Projects & Inspiration is the first book to survey the use of adhesive tape as an artistic medium. Written by Eva Hauck and the Klebebande tape artists collective, it was originally published in German (subtitled Kunst Mit Klebeband Ideen & Projekte), and begins with the Klebebande's motto, "tape is the new paint." Photographs of contemporary tape art in situ are included (mostly from the past decade, with a handful of early examples from the 1990s). There is also a brief historical introduction by tape art pioneer Michael Townsend: "Tape art has no long history to boast of, but does have an extensive and ever expanding catalog of expressions: from protest and performance art, to the beautification and occupation of public space, to advertising." After the UK referendum on EU membership and Donald Trump's US presidential election victory, several books have discussed the so-called 'post-truth' era. 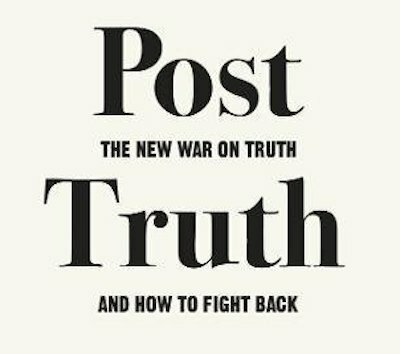 In Post-Truth: The New War On Truth & How To Fight Back, Matthew d'Ancona credits Steve Tesich with coining the term in 1992 ("we, as a free people, have freely decided that we want to live in some post-truth world"), though it was only after Brexit and Trump that post-truth became a buzzword: "2016 was the year that definitively launched the era of 'Post-Truth'." Of course, d'Ancona highlights Vote Leave's campaign pledge ("the assertion - emblazoned on the side of the Leave battle bus - that Brexit would yield a £350 million weekly top-up for the cash-strapped NHS") and explains its mendacity: "To borrow a distinction often made by Trump's supporters, it was evidently a mistake to take the Leave campaign literally rather than seriously." He also itemises some of Trump's lies and exaggerations, which were labelled "truthful hyperbole" by Tony Schwartz (ghost writer of The Art Of The Deal) and defended as "alternative facts" by Kellyanne Conway. Explaining the origins of post-truth, d'Ancona notes the commercial value in sensational falsehoods: "Post-Truth sells, too. Those whom the Columbia University professor Tim Wu has called the 'attention merchants' compete for our time - and market it as a hugely valuable product." He also cites the ideological fragmentation of media and audiences: "The consequence is that opinions tend to be reinforced and falsehoods unchallenged. We languish in the so-called 'filter bubble'." The book also reminds us of pre-Trump, post-truth presidential soundbites, from "I am not a crook" (Richard Nixon) to "I did not have sexual relations with that woman" (Bill Clinton). This history, d'Ancona argues, has contributed to a public distrust of authority, a situation which was then exploited by partisan media: "If institutional failure has eroded the primacy of truth, so too has the multi-billion-dollar industry of misinformation," leading to the proliferation of 'fake news' online. 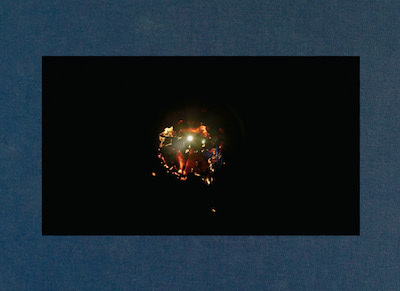 Apichatpong Weerasethakul Sourcebook was published last year to coincide with the director's first museum retrospective, The Serenity Of Madness. Rather than a conventional exhibition catalogue, the book is a collection of documents from Apichatpong's personal archive, including diary entries, location photographs, and a 100-page essay by Jenjira Pongpas Widner, who has appeared in Cemetery Of Splendour, Uncle Boonmee Who Can Recall His Past Lives, and several of his short films. It also features reprints of articles that have inspired some of Apichatpong's works (including a history of trepanation), alongside interviews with the director. 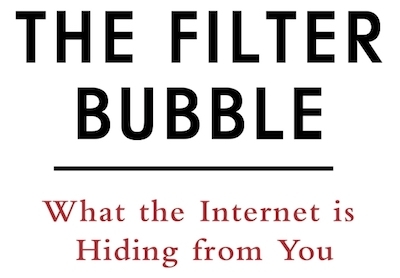 The Filter Bubble, by Eli Pariser, was first published in 2011, though its central thesis has regained currency in the current debate surrounding fake news and political polarisation. Pariser describes how online personalisation algorithms "create a unique universe of information for each of us - what I've come to call a filter bubble - which fundamentally alters the way we encounter ideas and information." He argues that the 'filter bubble' acts to reinforce our ideological positions by presenting us only with opinions with which we already agree, and that this process is invisible and involuntary: "When you turn on Fox News or read The Nation, you're making a decision about what kind of filter to use to make sense of the world. It's an active process, and like putting on a pair of tinted glasses, you can guess how the editors' leaning shapes your perception. You don't make the same kind of choice with personalized filters." The 'filter bubble' is not a new concept, though it was popularised by Pariser's book. It's related to the notion of 'cyberbalkanization' coined twenty years ago, and Tim Berners-Lee has criticised the 'walled garden' effect of closed systems such as app stores that fragment the web. The impact of the bubble can be seen in Thailand: red-shirts and yellow-shirts each have different sources of information (Voice TV and Manager, respectively). Similarly, CNN's Reliable Sources contrasted Democrat and Republican media (respectively, MSNBC and Fox News), calling it "Red News/Blue News". The Filter Bubble is subtitled What The Internet Is Hiding From You. For the US paperback edition, the subtitle was changed to How The New Personalized Web Is Changing What We Read & How We Think. Hit Makers, by Derek Thompson, is a study of how blockbusters and bestsellers are born. (Its focus is squarely on the head of the sales curve, rather than the long tail.) There is, of course, no magic formula to explain commercial success, though Thompson identifies some of the key factors, such as the 'aesthetic aha' principle: "The best hit makers are gifted at creating moments of meaning by marrying new and old, anxiety and understanding. They are architects of familiar surprises." The book's most significant contribution is its refutation of the myth that cultural memes 'go viral'. Drawing on a research paper from 2012 (The Structure Of Online Diffusion Networks), Thompson argues that viral hits rely on mass dissemination in addition to word-of-mouth: "For most so-called viral ideas or products to become massive hits, they almost always depend on several moments where they spread to many, many people from one source." Metaphorically, viral content is propagated via water pumps (broadcasting to a wide audience) rather than water coolers (conversations between individuals). 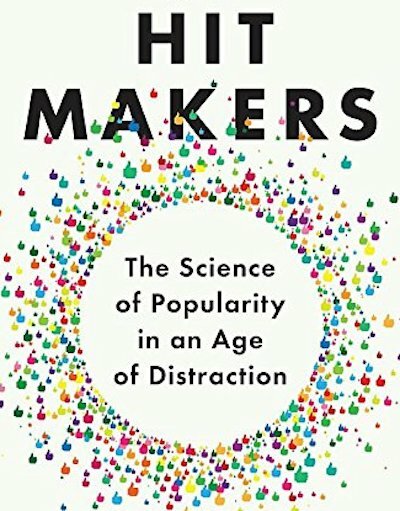 Hit Makers is subtitled The Science Of Popularity In An Age Of Distraction. In the UK, the subtitle was simplified to How Things Become Popular. Thompson's articles for The Atlantic magazine include early examinations of online clickbait, which he defines in Hit Makers: "An article is considered clickbait if the headline gets the reader to click on a story that doesn't live up to its promise." 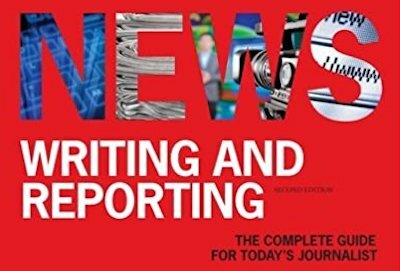 News Writing & Reporting: The Complete Guide For Today's Journalist, by Chip Scanlan and Richard Craig, is a useful all-in-one textbook for journalism students, which covers not only writing but also interviewing, research, and ethics. The sidebars ("The Coaching Way", "Chip's Corner") are a bit gimmicky, though this is the most wide-ranging guide to news writing for print, online, and broadcasting. The only missing element is headline writing, which is covered in Anna McKane's News Writing. 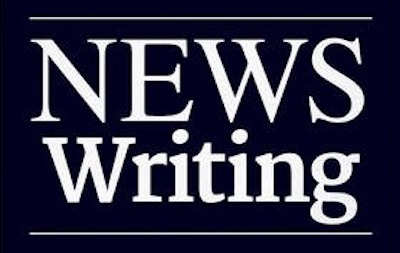 News Writing, by Anna McKane, is an excellent introduction to writing news stories, with practical advice that's ideal for journalism students. McKane covers the standard topics - news values, the inverted pyramid, and the five Ws (who, what, where, when, and why) - though she also discusses subjects overlooked by some other guides, such as headline writing and accurate reporting. Some minor criticisms: the focus on print journalism excludes broadcasting, and the material relating to grammar and punctuation would be more appropriate in a general English style guide. A meat processing company, Beef Products, is suing ABC News for defamation and seeking $5.7 billion in damages. The suit was filed in 2012, and the trial began yesterday. Beef Products alleges that ABC News "engaged in a month-long vicious, concerted disinformation campaign" with its investigation into lean, finely textured beef (LFTB), which is added to some processed meat. ABC News did not coin the term 'pink slime', though its series of World News Tonight reports popularised it and increased public awareness of the presence of LFTB in processed beef. As The New York Times reported on 31st December 2009, the phrase was first used internally by the US Department of Agriculture: "department microbiologist, Gerald Zirnstein, called the processed beef "pink slime" in a 2002 e-mail message to colleagues". Jamie Oliver also used the term, in a 12th April 2009 episode of Food Revolution: "a new world of food. It's called pink slime." 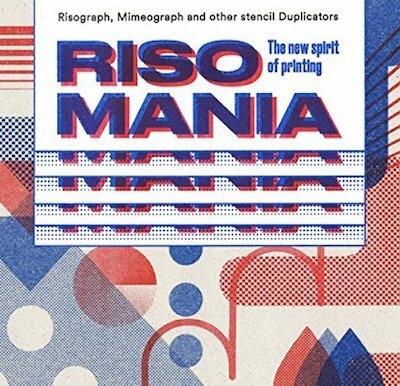 Risomania: The New Spirit Of Printing - Risograph, Mimeograph & Other Stencil Duplicators, by John Z Komurki, is "the first book to document... the history, present and future of the Riso," examining the use of the Risograph printer in graphic design. It includes a portfolio of contemporary prints, an international directory of printing presses, and some fascinating vintage commercial illustrations. The book begins with a history of stencil duplication: "To date there has been no comprehensive account published of it, although there are many books waiting to be written. Here, all we have the space to do is lay out the essentials of the development of this technology, and try to straighten out some of the misconceptions that bedevil the field." Duplicators such as the mimeograph, cyclograph, hectograph, papyrograph, and typograph are all discussed. Risomania was first published in French translation (subtitled Risographe, Mimeographe & Autre Duplicopieurs). It's an interesting account of a technology that's missing from the standard histories of printing, Prints & Visual Communication (by William M Ivins) and the definitive The Art Of The Print (by Fritz Eichenberg). 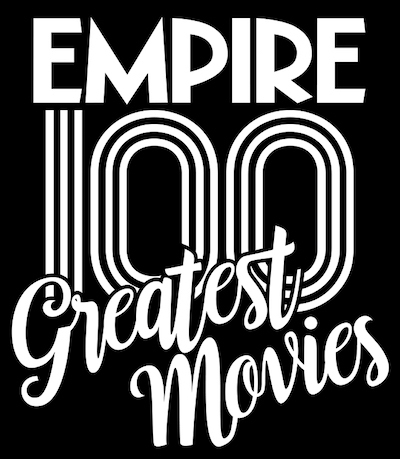 Empire has launched another 100 Greatest Movies online readers' survey, after previous polls in 2008 and 2014. The results will be published later this month, in the July issue of the magazine.